ya i did wear the compressions garments. the nurses asked if i got one and i said yes. Nice and v high bridge! and alar quite good. who says dr nara is conservative?! think got misconception that nara is conservative; nara stresses on making it look natural, if he doesn't make it higher, it's prob becos he finds that any higher and it'd look unnatural. 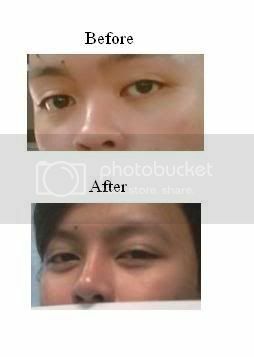 the L-shape implant pulls the sides of the nose up, and reduces the width, the alar also makes it smaller, so overall the nose looks much smaller. the tip extension also makes the tip of the nose look smaller and sharper. yours is very nicely done, congrats! Thanks for your reply. Hmmmmmm, going all the way to Bangkok and back, what a hussle!!! I hoped I could get a flight from JB. How was the bucca fat pad u did turn out? will it actually make the skin sag after the fats are pumped out? HOpe you can advise. thanks. it's hard for me to gauge, cos i did jaw implants at the same time, so the jaw implants stretches out the skin of the entire area again. oh thanks for the info i am happy with my nose dun think will make any changes coz the post op for me was quite bad as my face look like alien but the swelling went down on the 3rd day thank god... can go shopping haha... well aadvark i have chubby face but i love my cheeks... do u think the buccal fat removal will be the solution or just lipo will do?? 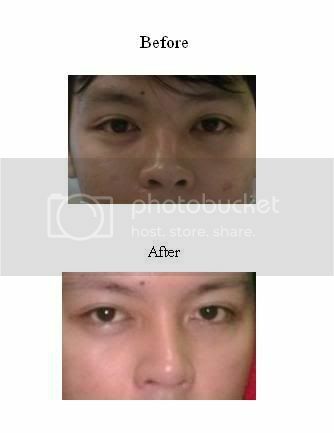 buccal fat pad removal is only advised for ppl 25yo and above. Ppl younger than that still have 'baby fat'. Generally our cheeks get thinner as we age, hence if you remove the buccal fat pad when u r young, u might get hollowed out cheeks when u grow older, resulting in an old look. does anyone here know how to make a hotel reservation at lee gardens in hat yai but without using a credit card coz i dont own one. wow, i never felt so happy before. didnt knew my debit card could do all that. thanks! aniways, still looking for company for my hat yai trip this december. anyone intrested do PM me. thanks.